Wordless Wednesday- "Wishing and Hoping..."
Always Warm in the Sunshine State! Sponsored Post- Canyon Bakehouse Gluten Free Bread and a GIVEAWAY!! While I was at the Wow Summit in Orlando, FL, a couple of weeks ago, I had the pleasure of trying out some Canyon Bakehouse Gluten Free Products. When I tasted the Canyon Bakehouse bread, do you know what my first thought was? "Wow! This tastes just like bread!!" It didn't taste gummy. It didn't have a funny after-taste. It was soft and fluffy and tasted just like bread. Real bread. Like, bread with gluten in it.- except, that it doesn't contain gluten! It is a great bread alternative for those that suffer from a wheat intolerance and/or celiac disease. Here's a little more information Canyon Bakehouse, from their website, "Our mission is simple. We want you to LOVE BREAD AGAIN. Our family is gluten free and we are passionate about making real food with wholesome, clean ingredients. We bake bread the old-fashioned way and use only 100% whole grains. From our family bakehouse in the Colorado Rocky Mountains to your kitchen, enjoy eating without compromise." In talking to the friendly staff at Canyon Bakehouse, I found out that you can find Canyon Bakehouse products at Target. Also, you can order their products directly from their website. Easy access- I like that! Now, onto the fun stuff....! Thanks to the people at Canyon Bakehouse (THANK YOU! ), All Things Katy! 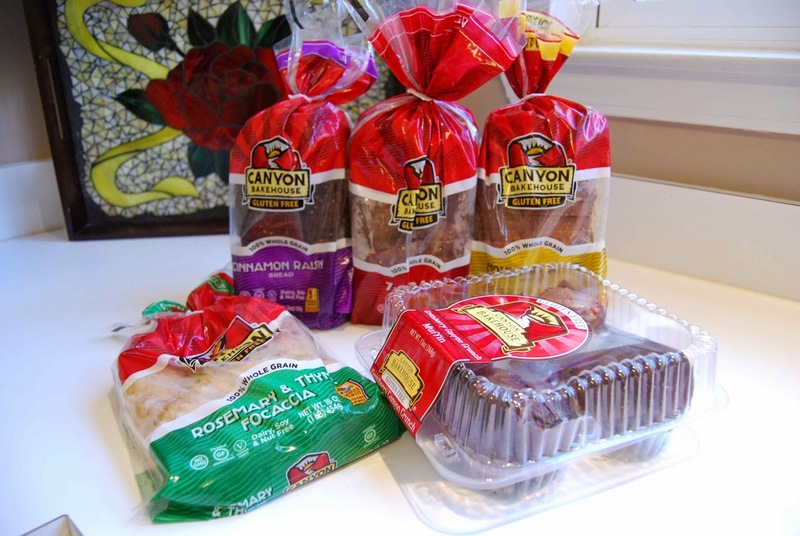 blog is giving away not one- but TWO Canyon Bakehouse Bread Packs (pictured)!! All you have to do is sign up to follow All Things Katy (in the right-hand column, under followers). Once you sign up to follow All Things Katy!, leave a comment on this post stating that you "follow" All Things Katy! That's it! (For a bonus entry, visit the Canyon Bakehouse website and peruse their awesome products. Then, leave a comment on this post with the name of the product that you'd like to try.) You're all set to try and win some yummy Canyon Bakehouse goodies! 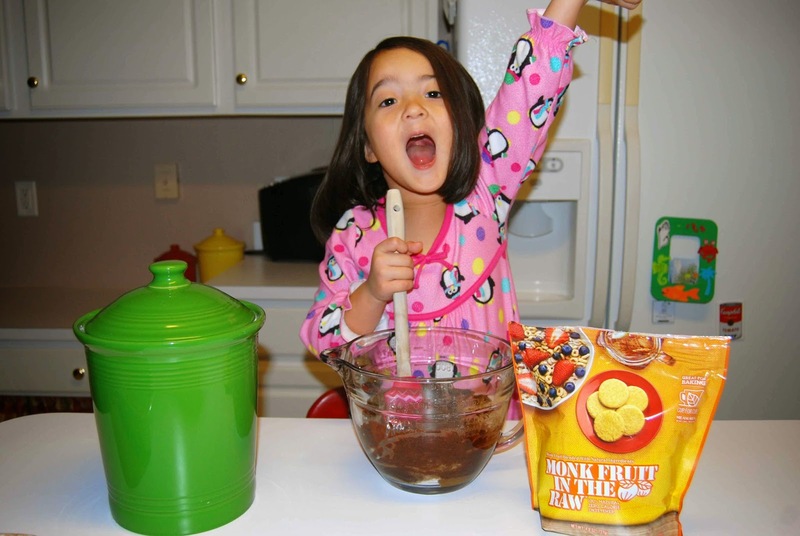 I recently had the opportunity to try out sugar substitute, Monk Fruit In the Raw through Moms Meet bloggers program. I love to bake and while I'm not afraid of using Paula Deen amounts of butter in my confections, I do admit that there is a time and place for more sensible desserts. Especially, at this time of year when there are sweets tempting me around every corner. A little moderation is definitely called for around the holidays! First off, let's talk about the company, In the Raw, Here is a little more information about the company: "In The Raw is a family-owned business that was established back in 1956 when founder, Marvin Eisenstadt, joined his father’s sugar packing business. Shortly after, Marvin was tasked with finding a less-processed sugar for a local restaurant’s health-conscious customers, and Sugar In The Raw was born. Fast forward to the sweetening revolution of the late 1990’s—when people really caught on to wholesome, zero-calorie alternatives to processed sugar. At that time, you could find a little brown Sugar In The Raw packet in almost every coffee house in America. Since then, the In The Raw product line has grown to include Stevia In The Raw, Agave In The Raw, and it’s latest addition, Monk Fruit In the Raw." Now, let's talk specifically about Monk Fruit In the Raw. What, exactly, IS Monk Fruit In the Raw?! Well, according to the In the Raw website, Monk Fruit In the Raw is "... made from delicious vine-ripened monk fruit, also called luo han guo. It’s the zero-calorie* sweetener that tastes like sugar. Originally harvested in the 13th century, it’s been making life more delicious for years now..."
• Monk Fruit In The Raw is a wholesome, zero-calorie sweetener made from real monk fruit, a vine-ripened fruit that is native to Asia. • Monk fruit, known as luo han guo in Asia, was first harvested in the 13th century by Arhats, or “Enlightened Ones,” which translates to Monks in English. • The sweet and delicious extract from monk fruit is blended with other sweeteners to create the perfect balance of sweet. • Monk Fruit In The Raw is naturally vegan, kosher, and gluten-free, and does not contain any added table sugar, sugar alcohols, or molasses. • Conscious, rejoice! Monk Fruit In The Raw has the closest taste to sugar of any non-caloric sweetener, and has the least amount of aftertaste. 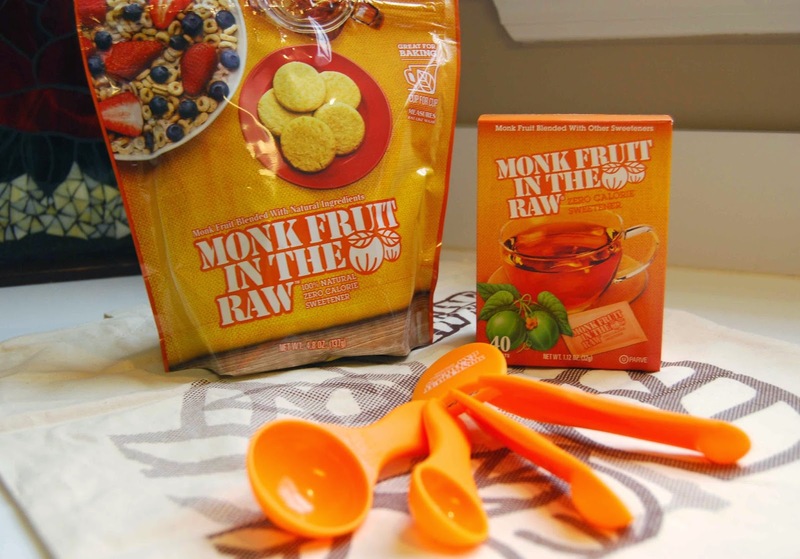 • One pack of Monk Fruit In The Raw is about as sweet as two teaspoons of sugar. 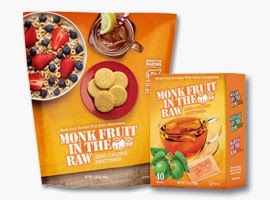 • One box of Monk Fruit In The Raw (40ct packets) retails for $3.49, and the Monk Fruit In The Raw Bakers Bag retails for $6.99. Price may vary based on the retailer. 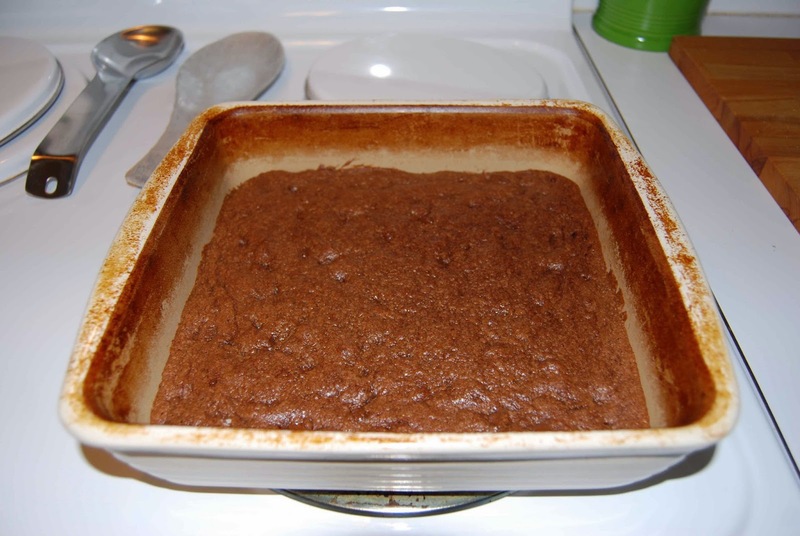 I was really surprised to see that the Best Chewy Brownies recipe does NOT include any leavening agent- no baking soda or baking powder. I was concerned about the outcome because of this. I ended up baking the brownies for about 30 minutes and I was rewarded with dark, ooey, gooey, chocolate-y brownies. 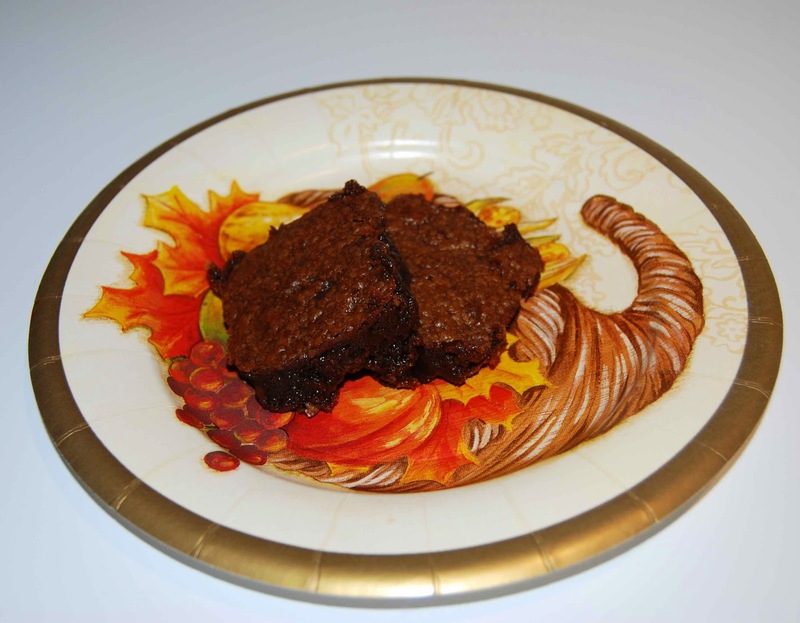 While the brownies were indeed flat, they were chewy and gooey (definitely needed a fork to eat these brownies!). However, the taste was good- sweet- and no after-taste. Of course, my choco-holic daughter LOVED the Best Chewy Brownies and was asking for seconds before she even finished her brownie. So, I'd say that's a big thumbs up! "I had my Preschool Thanksgiving Feast, last Friday." "I rocked my boots and Turkey outfit from Nanny and Poppy Jones! Thank you!" 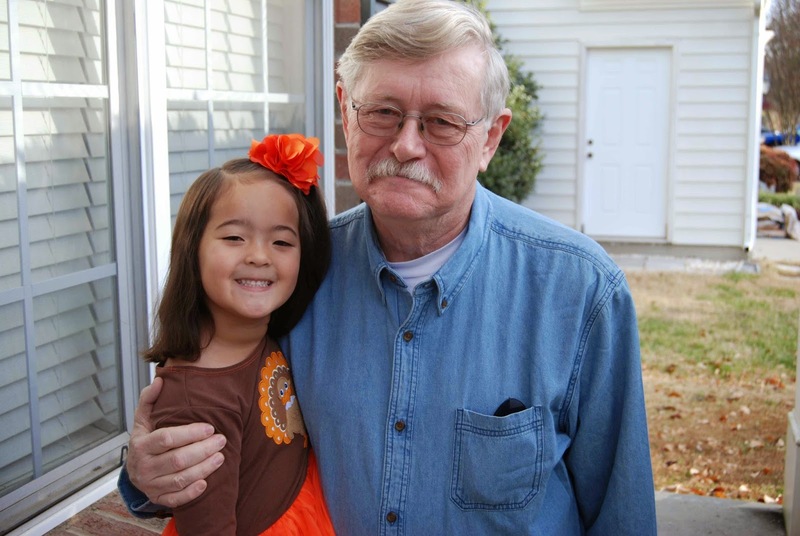 "Speaking of Nanny and Poppy, they were able to come visit for the feast! Yay!" 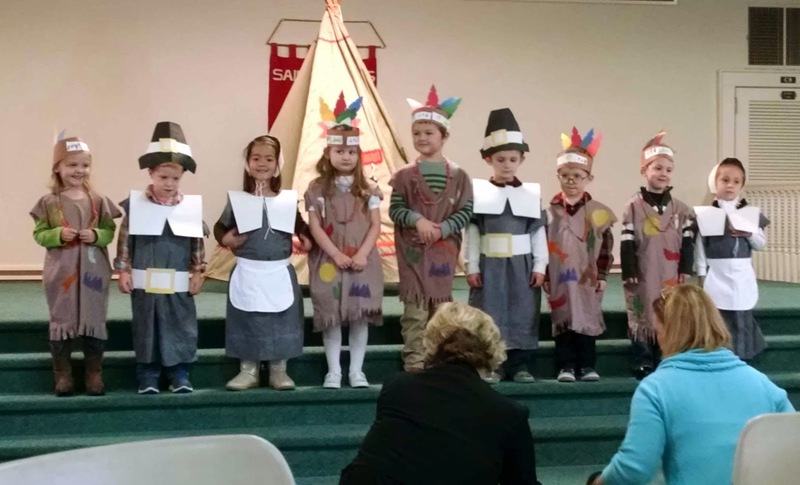 "Here's my class, singing, as Pilgrim and Indian Boys and Girls." 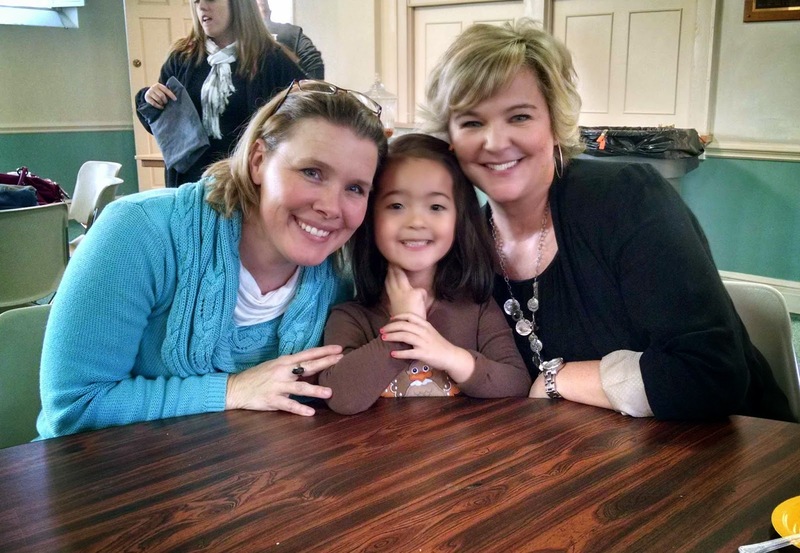 "I'm thankful for my two special teachers, Ms. Amy-Lyn and Ms. Laura!" I had the recent pleasure of testing Felicity Sewing Patterns' newest PDF sewing pattern, the Suzie Skort and Suzie Top/Headband. Now, the fun thing about the PDF sewing community is that it it worldwide. With the international exposure, PDF designers come from all over- including Stephanie, the brains and talent behind Felicity Sewing Patterns, all the way from Australia! So, while we, here in the US are shivering with the recent polar vortex, Aussies are shedding their layers and welcoming the summer sun! Perfect for the warmer months, the Suzie Skort and Suzie Top are the perfect patterns for active girls. -Both patterns fit sizes 2-14. 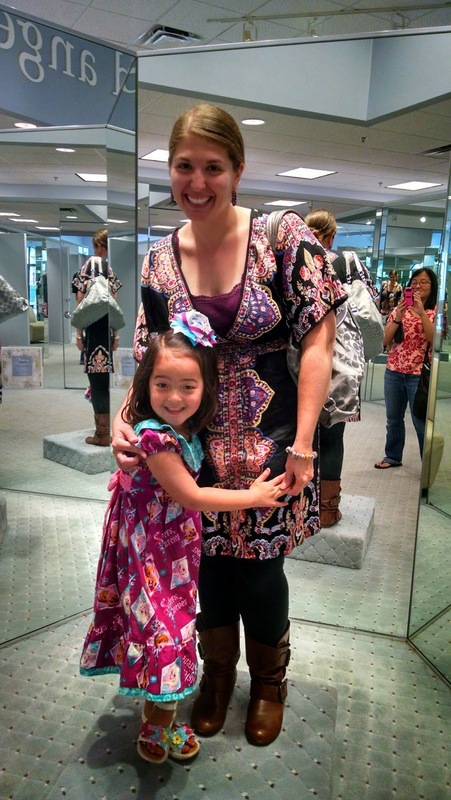 I should note, though, that they both skip size 5 (my daughter's current size). -The Suzie Skort features fitted knit shorts with two skirt options- wrap or flared, flippy.I tested the flippy option, with an inseam pocket on both sides. 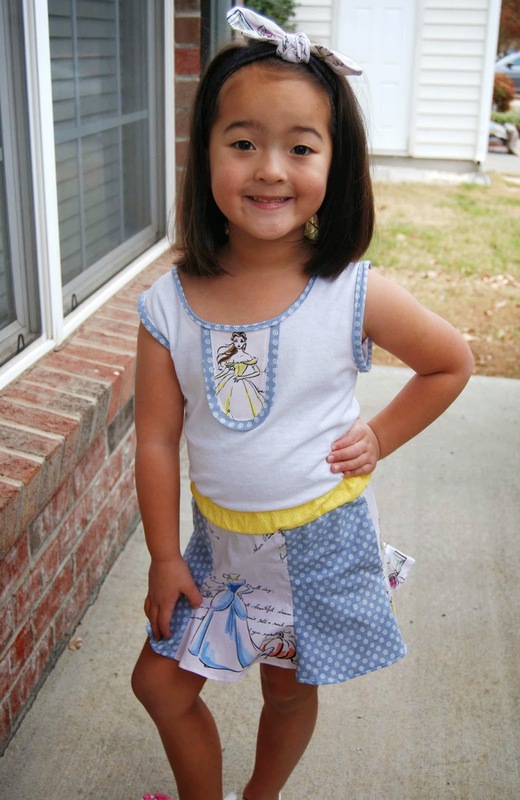 Skorts are the best way to dress active little girls as the run and jump and play (while still keeping them modest). -The Suzie Top with matching headband helps creature the perfect, coordinated outfit. -The one word that I would use to describe the Suzie Skort and Suzie Top patterns (or, any Felicity Sewing Pattern), is "Straight-forward." Stephanie's style is clear and direct. Each step has it's own box and line. Very clear. Love that in a pattern! 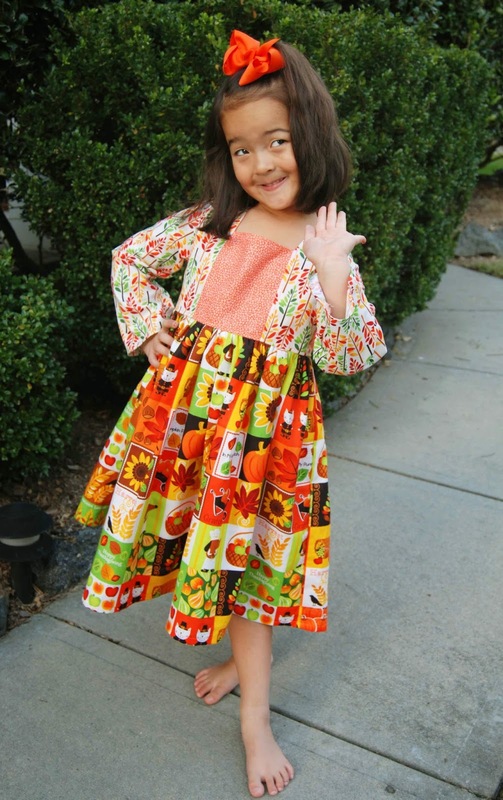 -Due to the multiple pattern pieces for the flippy skirt, there are many color/pattern combinations to be made. I love when a pattern can be expressed in a variety of ways. -I made my own bias tape (first time!) for the neck and arm binding in the Suzie top. Because of this, though, I feel like I fiddled a little too much- thus, stretching out-with the knit fabric. Complete operator error and no fault of the patterns. Next time, though, I'd probably either use pre-made bias tape and/or use a narrower seam allowance (to allow for more material to fold over the raw, knit edges). -Lil' Miss loved the matching headband that came with the Suzie Top pattern. 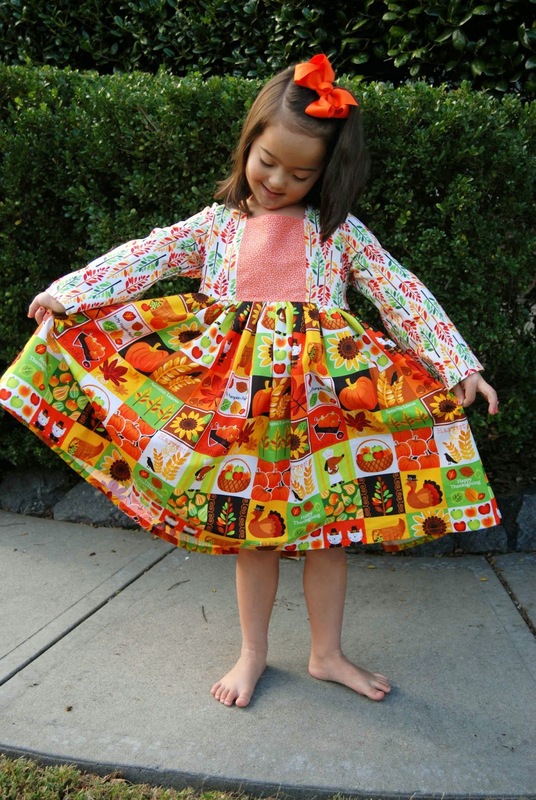 It's a great way to use up scraps of fabric! 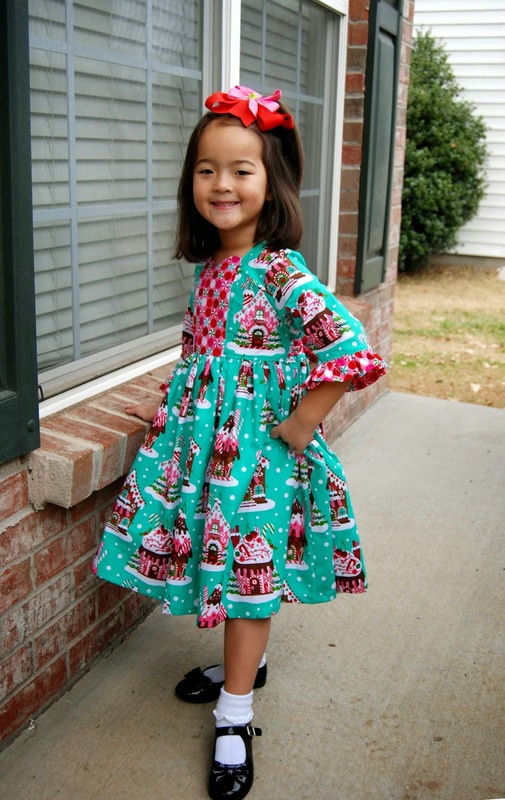 -What I love most about this pattern, though, is the fact that my daughter LIVES in skorts in the summer and this is the perfect staple for my sewing library. 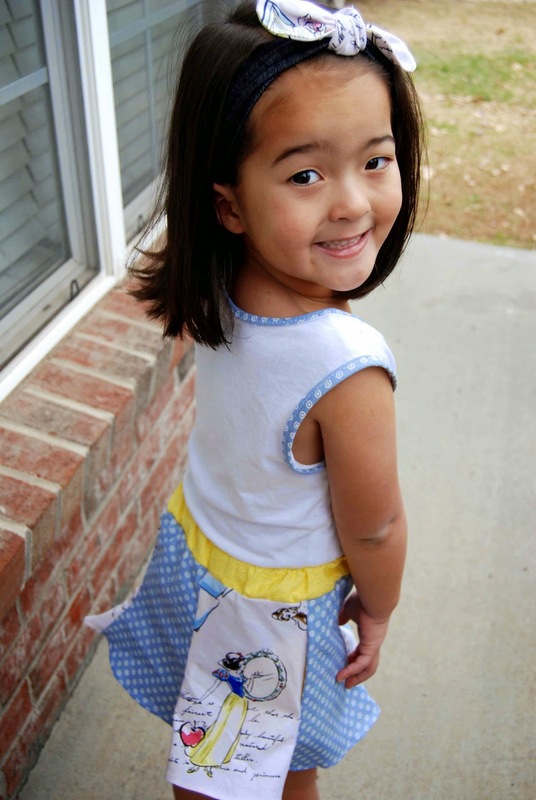 The Suzie Skort and Suzie Top are great summer staple sewing patterns for anybody sewing for a young girl. I know that I will be making more of these, once the spring and summer come around! Thank you, Stephanie, for allowing me the opportunity to test the Suzie Skort and Suzie Top patterns for you! I had sew much fun! 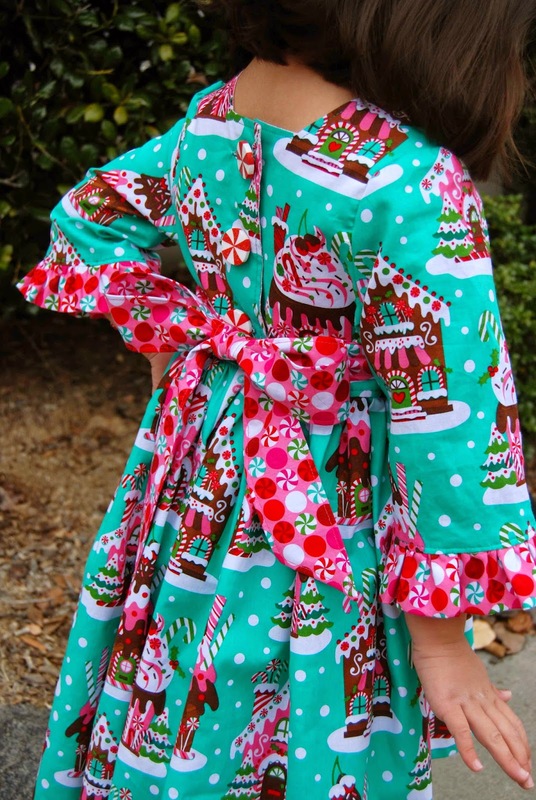 Here's my finished dress- and Katy's Christmas dress (Love killing two birds with one stone)!! Chick-Fil-A Moms Panel 2014/15- "Dress Up Your Nuggets"
As part of the Chick-Fil-A Moms Panel 2014/15 (Yes, it's really a "thing" and yes, I'm SOOO excited to be apart of it!! YAY! 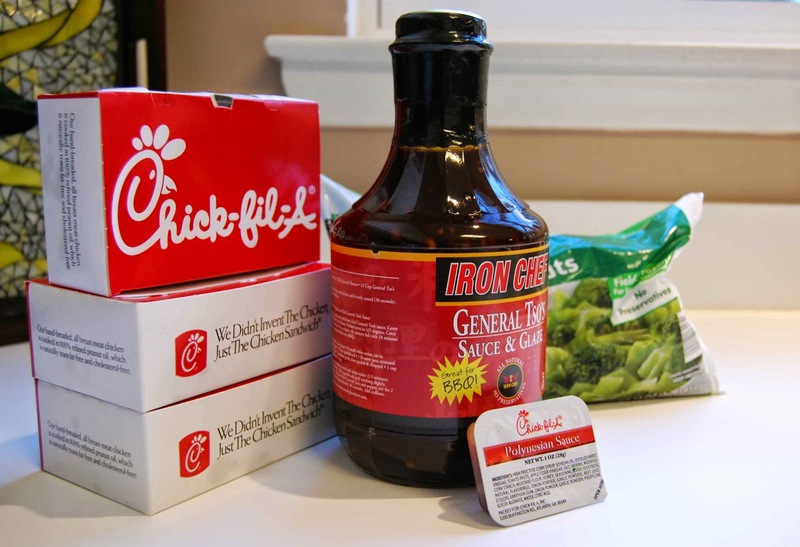 ), we were recently tasked with creating semi-homemade ways to "Dress Up CFA Nuggets." 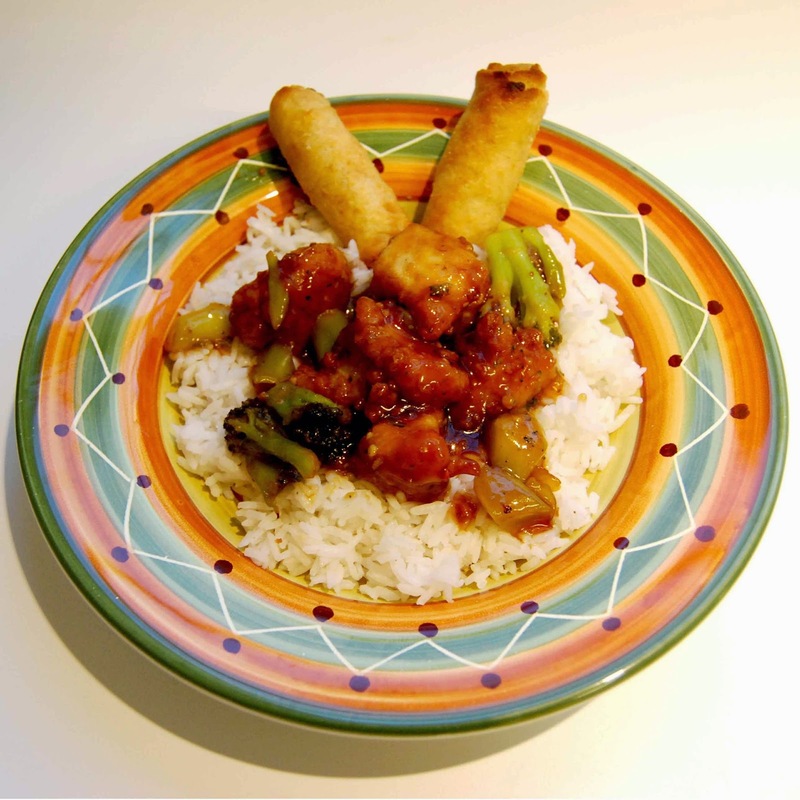 So, without further ado, I present to you, General Moo's Chicken (AKA, General Tso's Chicken)! -1 1/2 Cups General Tso's Sauce + More for Dipping (I "cheated" and used pre-made, Iron Chef brand sauce. However, you could easily make your own using a recipe such as this). -If not already cooked, go ahead and cook the rice according to package directions and/or put in the rice cooker. -Coat the bottom of a large skillet with the oil. -Add diced garlic and cook until fragrant. 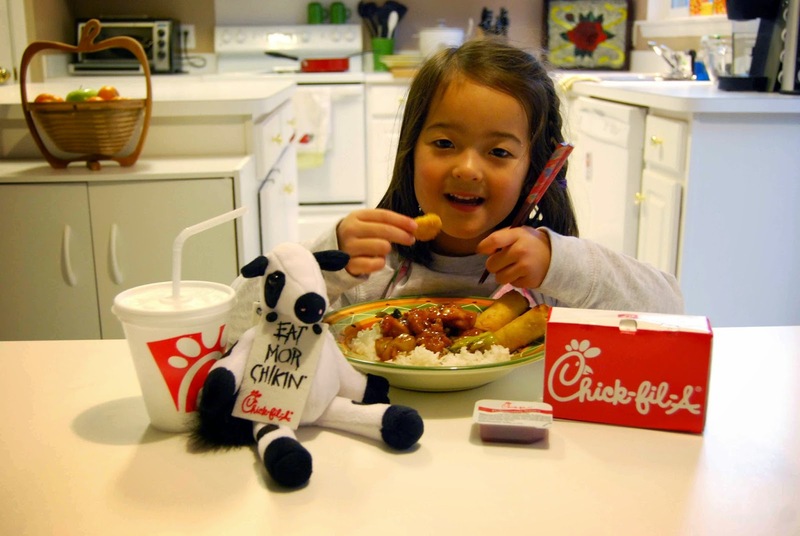 -Add the Chick-Fil-A Nuggets. Cook until warm. 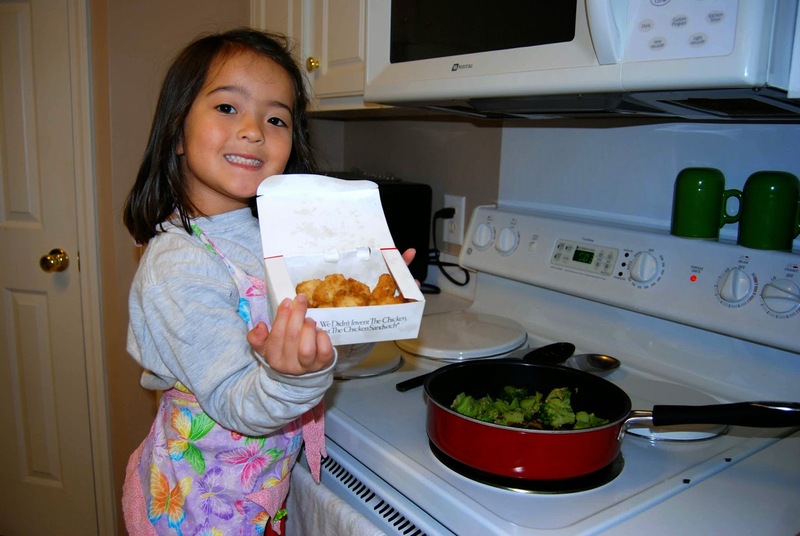 My Lil' Nugget adding the CFA Nuggets! 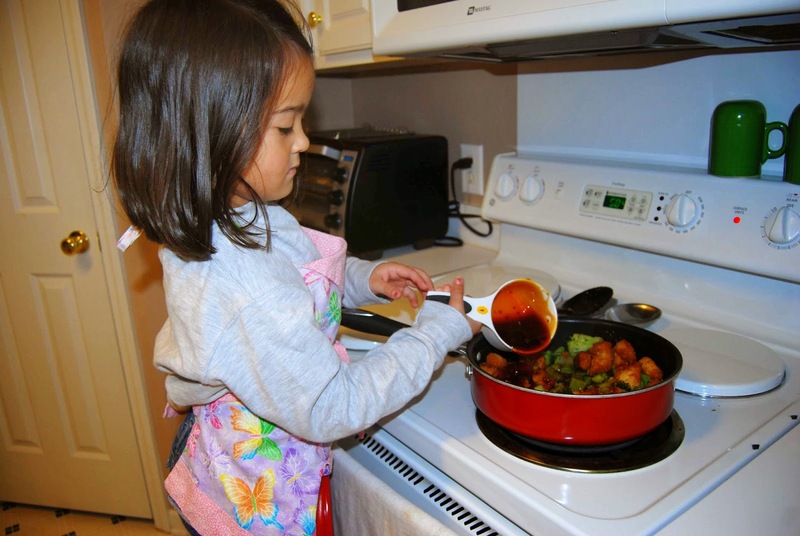 -Lastly, pour the General Tso's sauce over the nuggets and broccoli. -Season and spice, as desired. Serve over hot rice and enjoy! 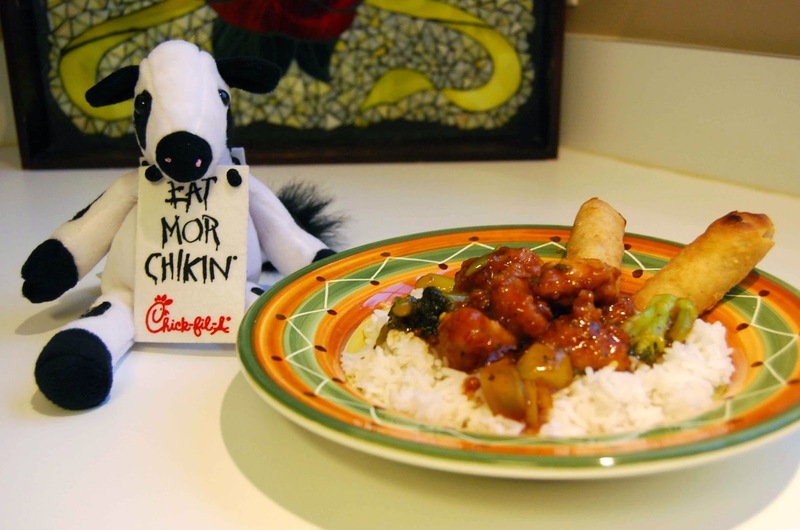 "EAT MOR CHIKEN" Cow agrees, "Eat Mor Gneral Moo's Chicken!" "Mommy and I went to FL, this past weekend." 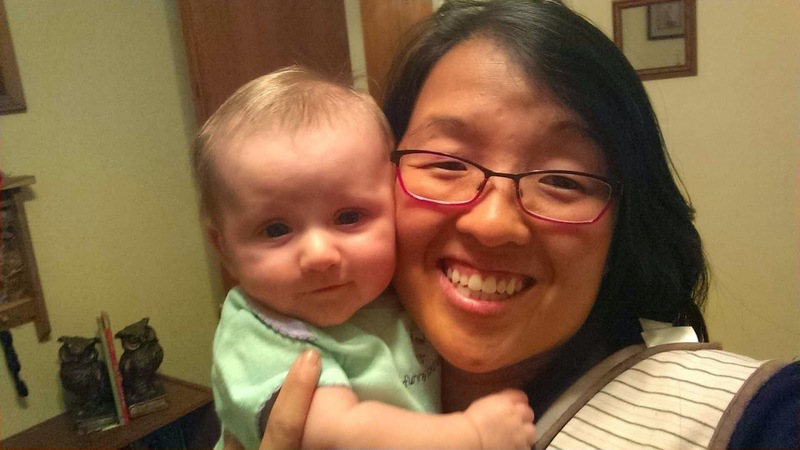 "Mommy went to #WowSummit 2014 and I got to spend time with Grandma and Pop-Pop Tinkey!" 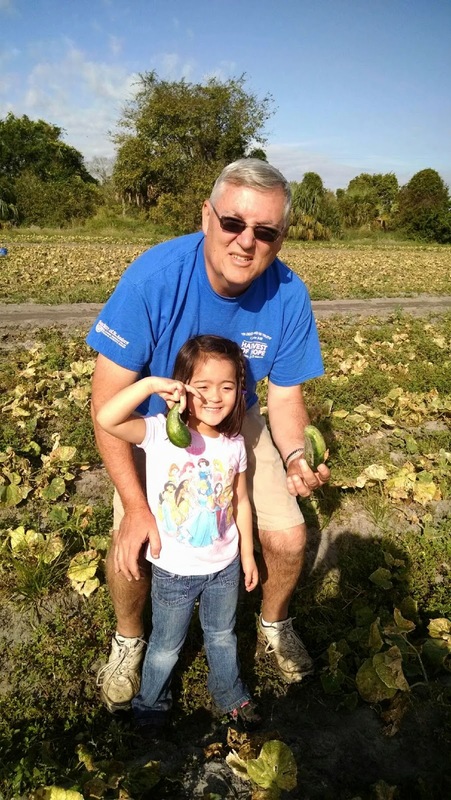 "I helped Pop pick pickles (AKA, cucumbers) for the Society of St. Andrew." 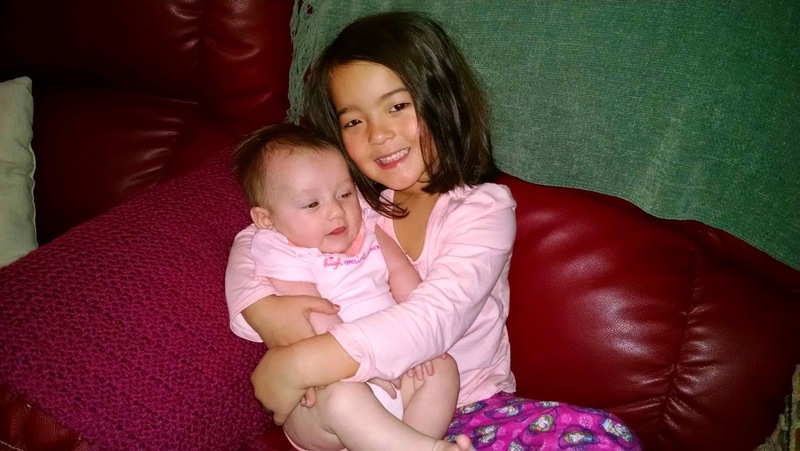 "Auntie Hope and cousin- or, "cugina," in Italian- Maggie were also visiting Grandma and Pop-Pop's house. I got to smoosh her a lot. So did Mommy." 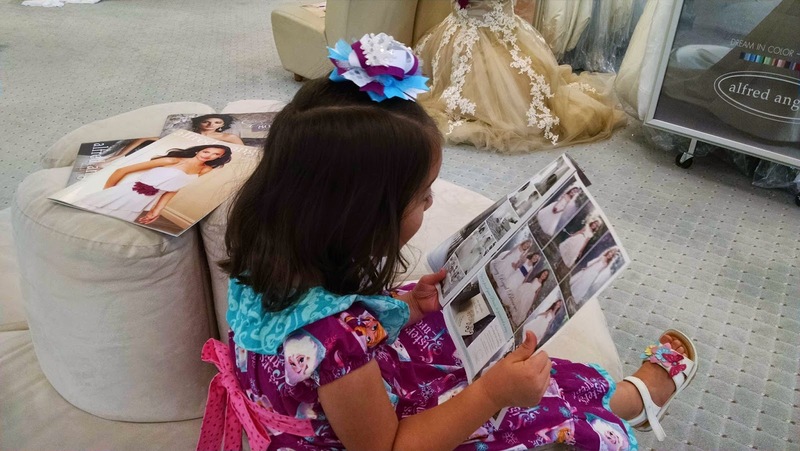 "At the end of our trip, I also got to "help" cugina Christa pick out my flower girl dress for her wedding. I LOVE dressing up fancy!" 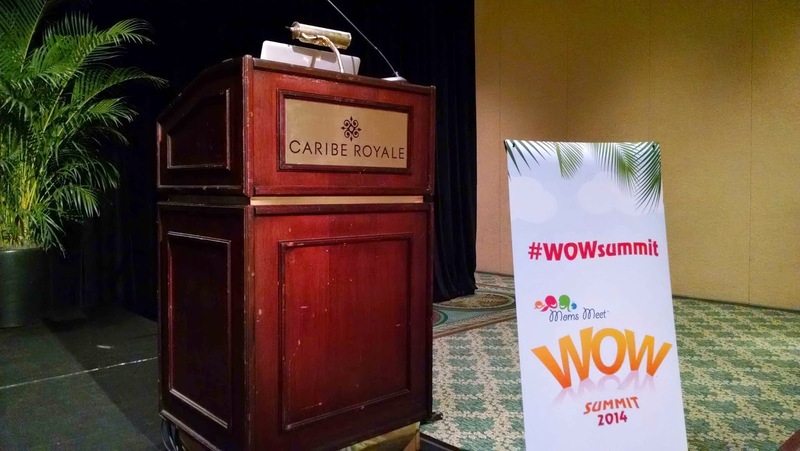 #WowSummit 2014 at Caribe Royal Hotel and Convention Center. I just returned from my first blogger conference, hosted by Moms Meet at the beautiful Caribe Royale Hotel and conference center in Orlando FL. 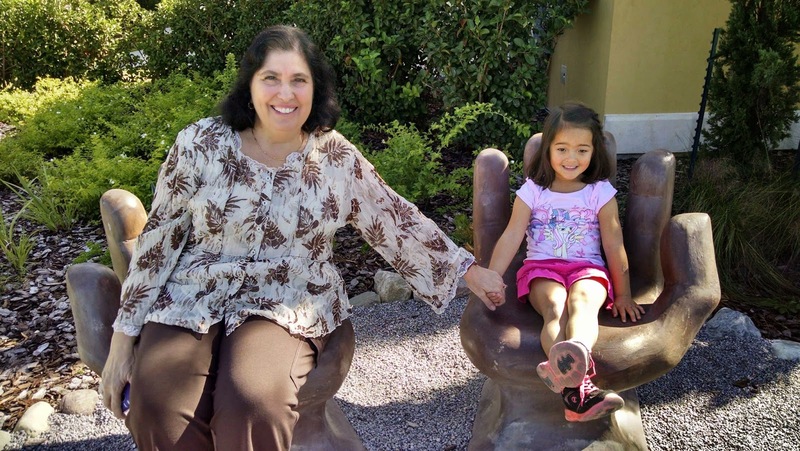 It was a whirlwind trip to the Sunshine State with my little travel buddy, Katy. Lil' Miss got to spend some quality time with the grandparents (Thank you, Mom and Dad, for watching Katy while I attended the conference! :-) and I got to attend #WowSummit 2014. Win-win-win all around!! This was my first conference as a "blogger." 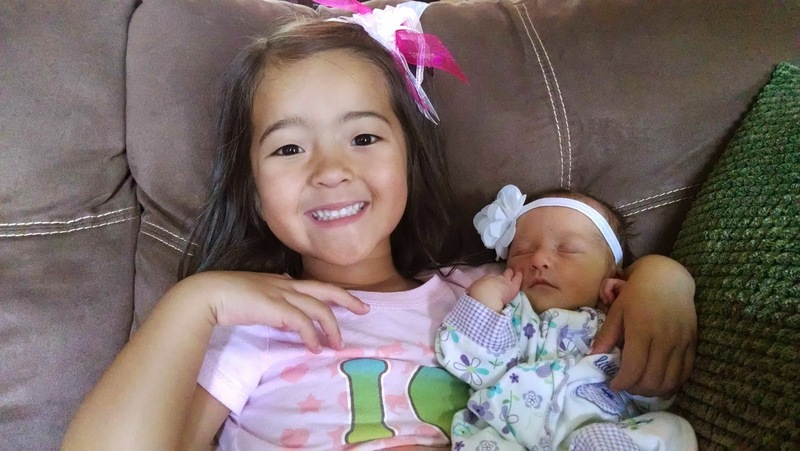 I've been a Mom Ambassador and Mom Blogger for Moms Meet for over a year, now, but I have never actually attended a blogging conference, before. So, I didn't really know what to expect. Well, what I got in return was so much more than anything I could have been prepared for! It was an uplifting, enlightening and empowering weekend of hope, joy and sense of camaraderie as women, as mothers and yes, even as bloggers. We had some really great speakers talk to us throughout the weekend. Just to name a few; Robyn O'Brien help shed light on the changing landscape of the health of our families, Suzy Stauffer helped us find the balance between being a mother and a woman with hopes and dreams of her own, and Aviva Goldfarb showed us quick and easy ways to get dinner on the table without the proverbial six o'clock scramble. In addition to the speakers, we also had break-out sessions that touched upon various aspects of motherhood, blogging and health. From holiday planning with title sponsor, Zevia to helping our families navigate cold and flu season with title sponsor, Flu Nada, a wide range of topics were discussed. 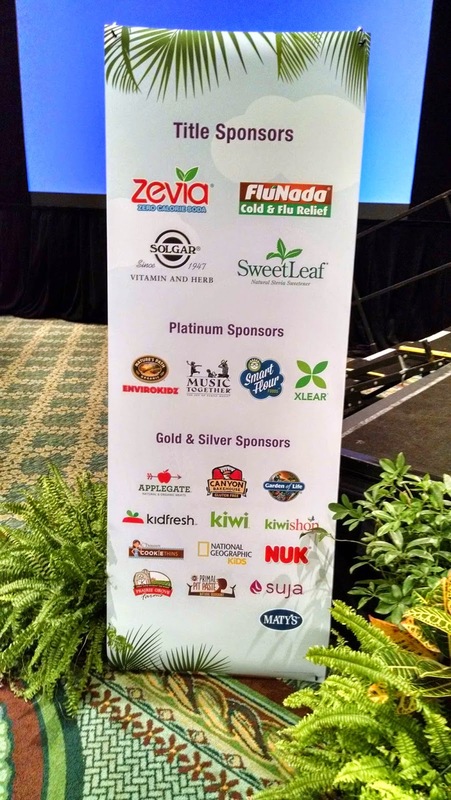 When the conference attendees weren't in break-out sessions, or listening to speakers, we had the opportunity to sample our way through a ton of great, green, family-friendly products for our health, families and home. Lots of fun! On the last day of the conference, I was able to attend the blogger lunch. Lots of fun connecting with other women and bloggers. 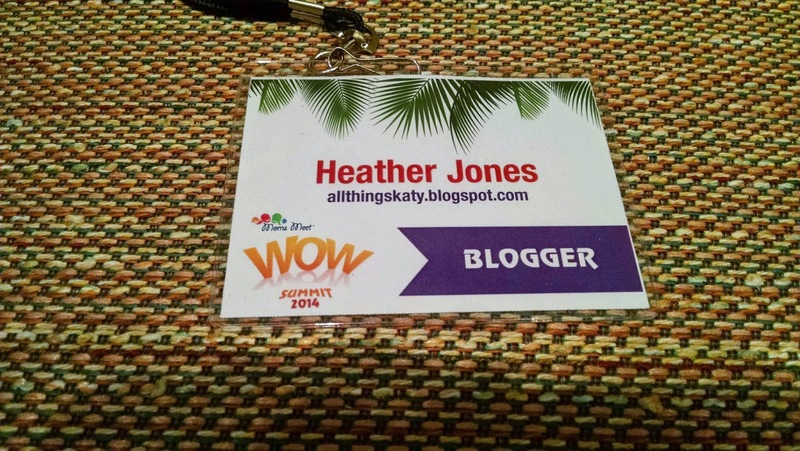 I had such a great experience at the #WowSummit 2014! I made lots of new connections and learned a lot of wonderful information. I will definitely consider attending #WowSummit 2015 (possibly on the West Coast?!? ), next fall! Soo, soo, so much fun! Thank you so much to the all the sponsors, speakers and especially Moms Meet for putting on such a great conference! Photo by the talented Drew Photography. Lil' Miss wanted to be Elsa for Halloween this year (along with a million, zillion other little girls!!). So, when we were invited to a friend's annual costume Halloween party, Hubby and I decided to go all in, too! 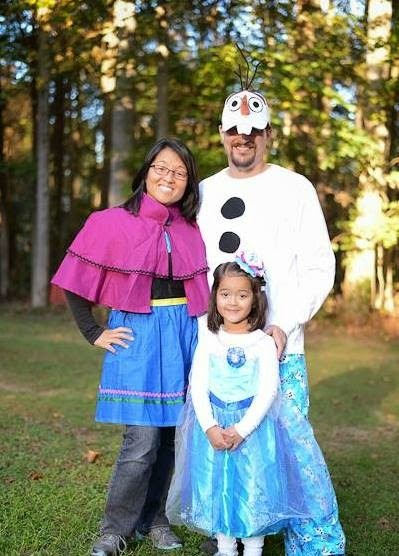 Ted was a good sport to dress up like Olaf, the snowman from Frozen. He designed his Olaf hat and I sewed the rest of his costume. I, on the other hand, got to be the only other female in the movie, Elsa's younger sister, Anna. I sewed my apron and cape. 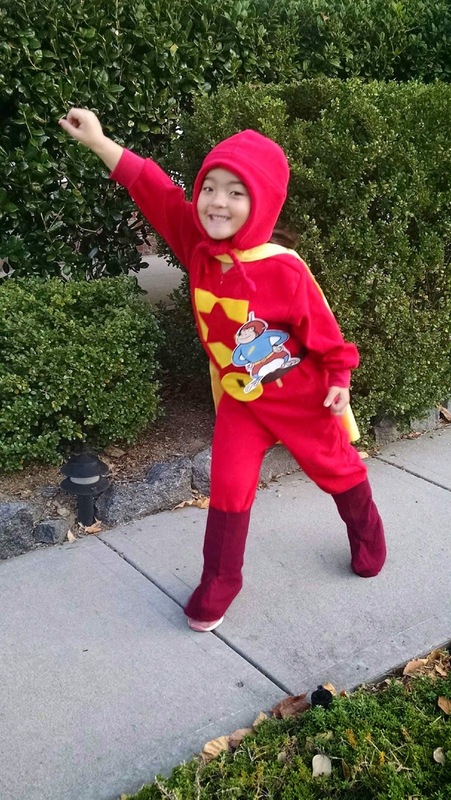 Happy Halloween 2014- Word Girl Takes on the Downtown Concord Candy Crawl! "Katy is my Sunshine, my only Sunshine...!" 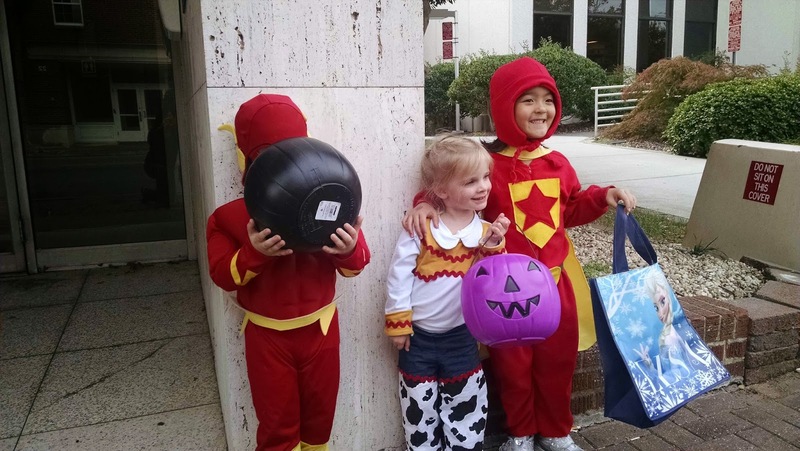 Because Halloween fell on a Friday, this year, that meant that the annual Downtown Concord Candy Crawl was on the same day as trick-or-treating (translation- Sugar Coma!!). 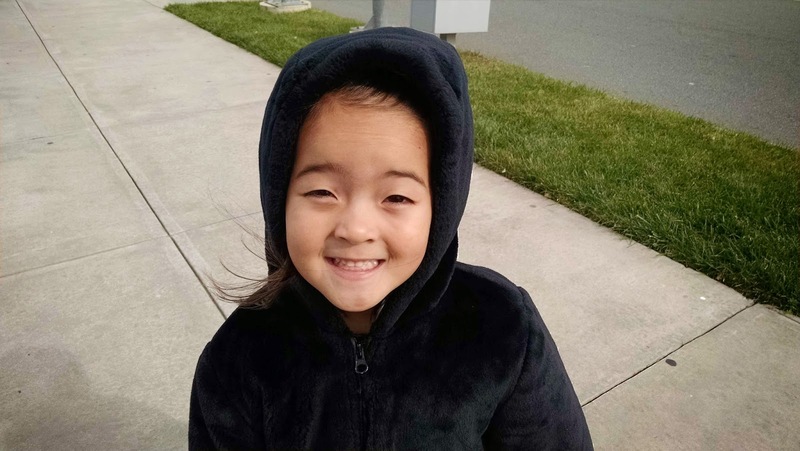 After preschool, Lil' Miss enjoyed doing the Candy Crawl with friends. 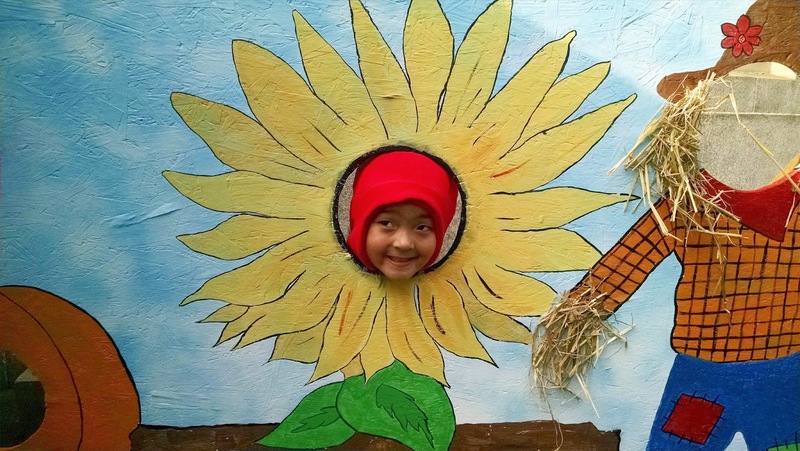 She racked up the treats, bounced off some energy in the bounce houses and even had her picture taken by the Independent Tribune! Katy definitely enjoyed Halloween, this year!! 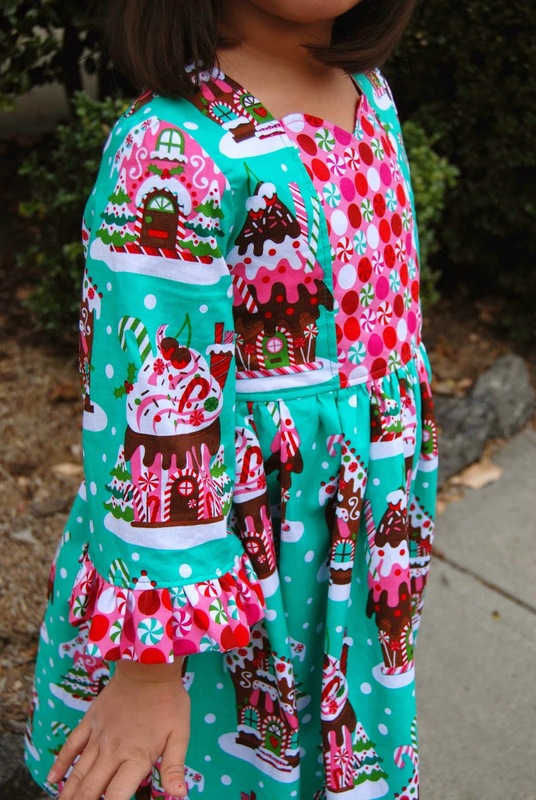 The Sophie Dress- Zipper enclosure and bow. 2nd Sophie Dress- Bodice Detail. 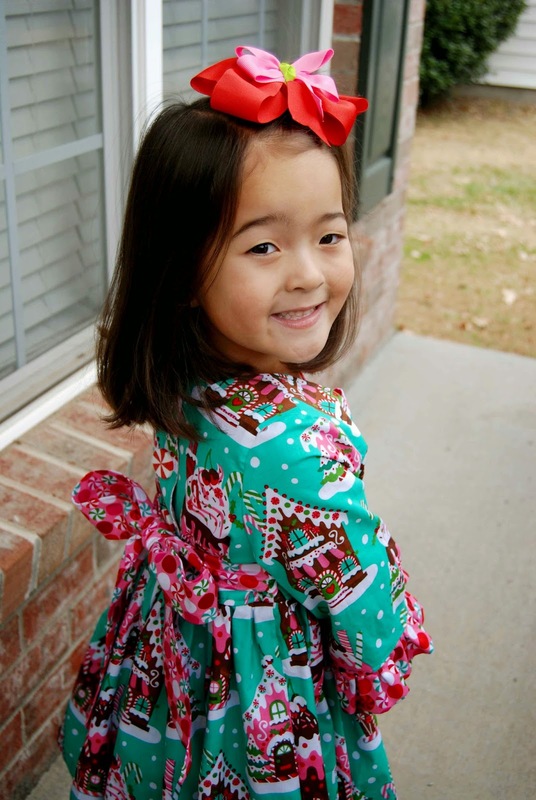 2nd Sophie Dress- Zipper Enclosure and Bow. 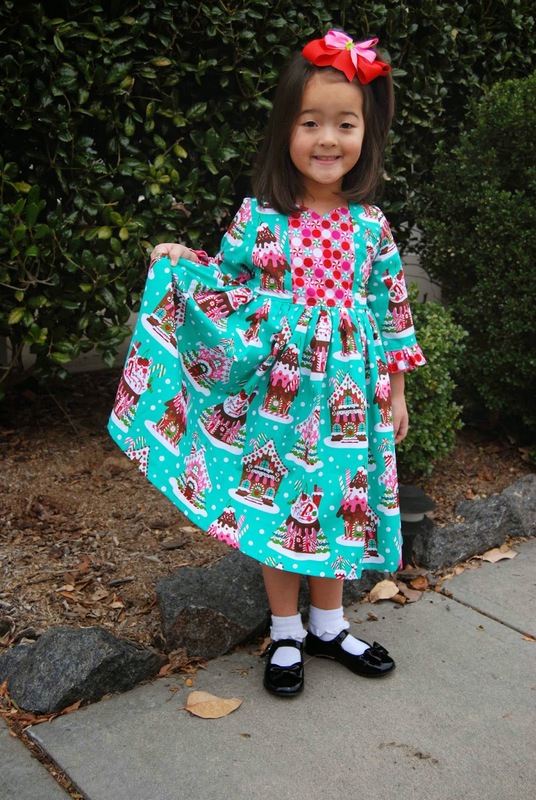 I recently had the pleasure of testing out Made for Mermaids newest PDF sewing pattern, the Sophie Dress. 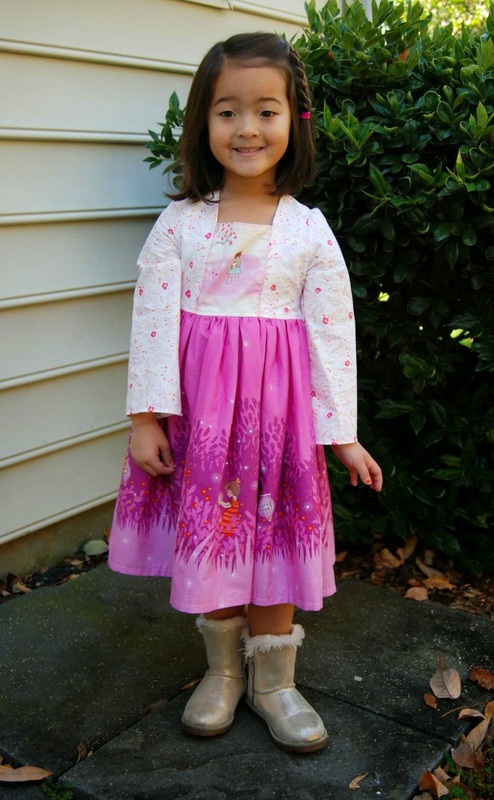 It is the perfect dress for cooler months! -This pattern features a square neckline and a center panel perfect for embroidery, monograms, etc. -Choice of 3/4 sleeves of long sleeves. -2 different skirt widths- WOF (width of fabric), a less full option. I personally went with WOF for both. 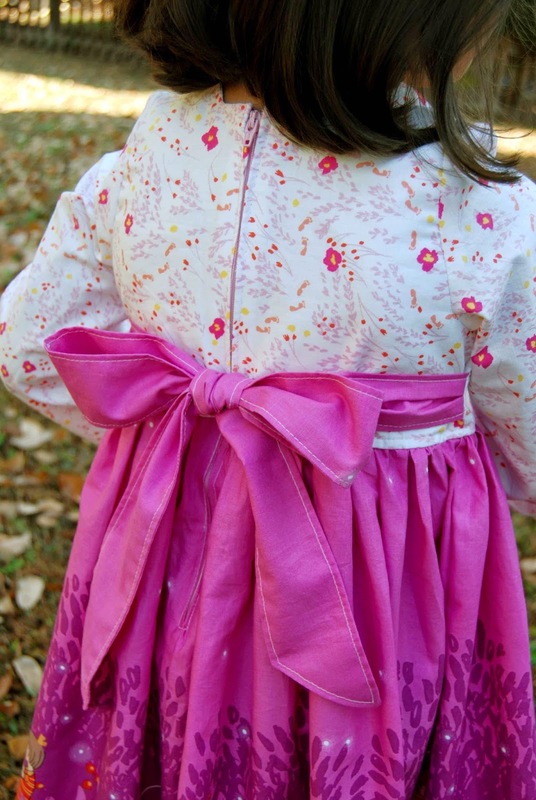 -Sash ties help cinch in the waist and make the dress easier to wear for an extended period of time. Directions were clear and easy to follow. After branching out, recently, to use other designers' PDF sewing patterns, it's always nice to come back to a Made for Mermaids pattern. It's truly like coming home to an old friend. Steps were chronological and easy to understand. Step A flowed nicely into step b and on and on. During the testing process, some tweaks were made to the pattern (I love that Megan really listens to her testers and takes into account their suggestions to make her pattern even better!) and the dress fits like a dream! The bodice is fitted, so be sure to go by the measurement chart in order to find the perfect size for her pint-sized model. Since I forgot to add ric-rac to my first dress, I made sure to add it to my second dress (Don't worry- there is a note in the pattern reminding you to add your trim! How thoughtful and super helpful!). 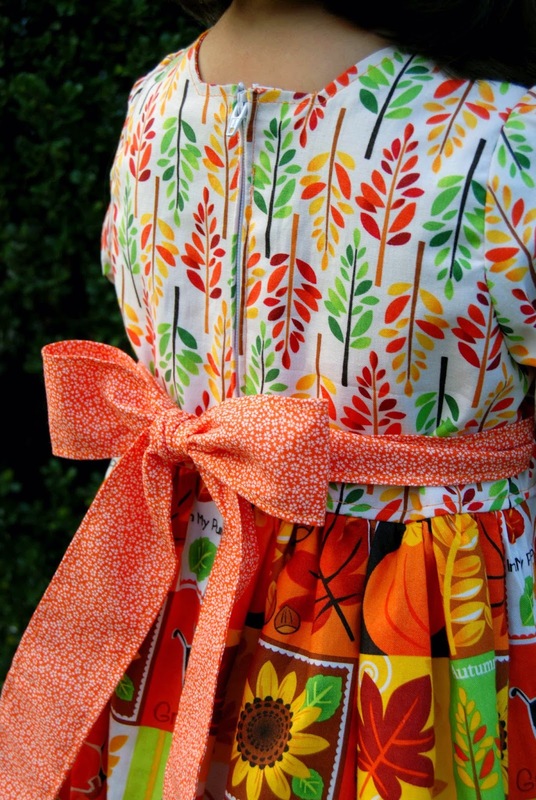 I ended up breaking into my Michael Miller Wee Wander fabric that I've been hoarding saving for just such a dress. I couldn't be happier with the results! 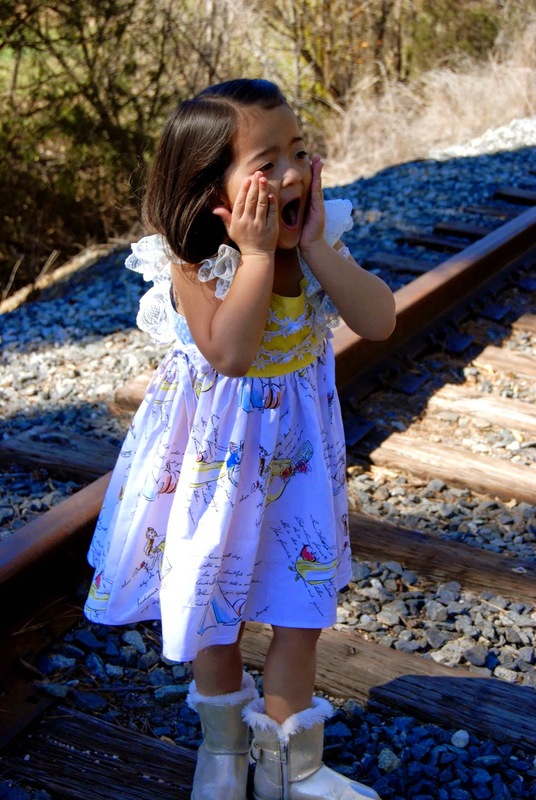 The Sophie Dress is perfect for showcasing border prints! My biggest accomplishment with these dresses is the fact that I sewed a zipper for both of them (yes, I made two of them, already and I have another one already in the works!). In the past, I've shied away from patterns that included zippers. They seemed scary and I never really had much luck with them looking "professional" and "neat." I forced myself to use the zipper back so that I could practice sewing a zipper. 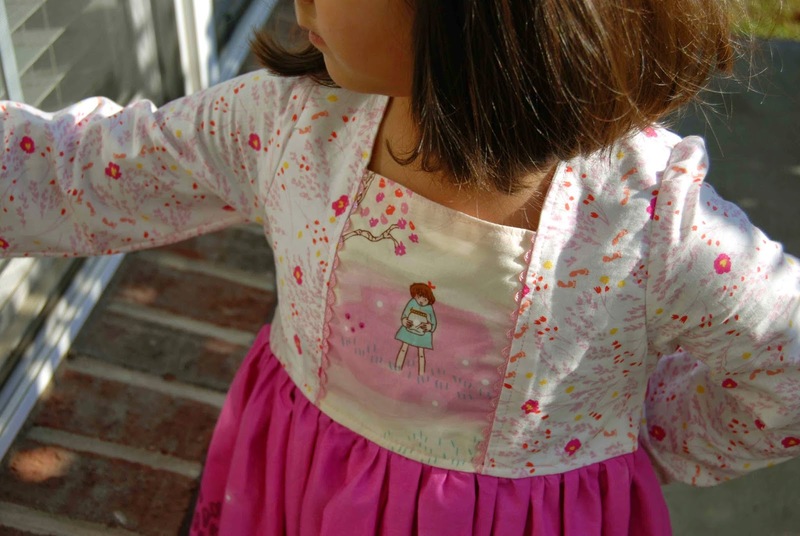 Simple, clear and easy to follow directions on how to sew a zipper are included in the tutorial of the Sophie Dress. Two zippers down and now I'm ready for more! Thank you, Megan, for another opportunity to test patterns for you! I enjoyed myself and I'm sure I'll be making the Sophie Dress again! 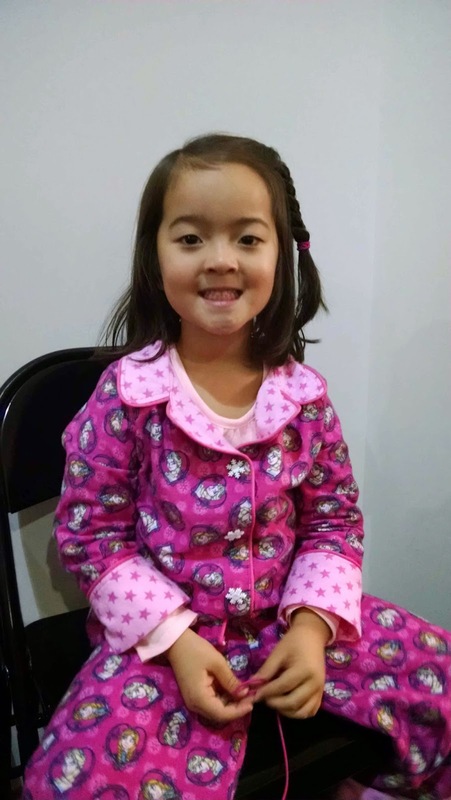 "Last Thursday, we were allowed to wear our Halloween costumes to Ballet class." "We had a lot of Elsas show up! ;-P"
"It was fun dancing and playing in our Halloween costumes!" "No tricks here, just treats!"